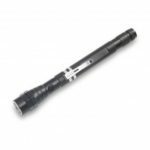 This Telescopic Flashlight can not only be used as a torch, but also a magnetic pick up tool. It is great for picking up items, a perfect tool for various need. 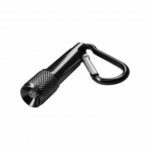 Extend up to 57cm, long enough to light up the place far away from you, allowing you to pick up items that are stuck in hard to see and reach places. 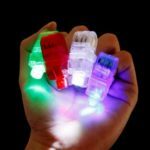 Easy to put into your bag, glove compartment, suitcase, backpack or pocket, super practical and useful. 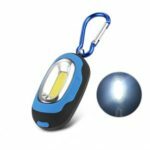 It can not only be used as a torch, but also a magnetic pick up tool. Composed of extendable stem, flexible neck, magnetic head and base. Magnetic ends pick up washers, screws, nuts or bolts when you need a third hand. Weather proof and shockproof. Versatile and perfect for camping, boating, fishing, and roadside emergencies. 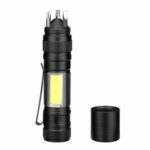 3 super bright LED bulbs, 360 degree illumination, provide light where most flashlights can not go. Flexible neck helps wrap things around and hook on objects. Long enough to light up the place far away from you. Uses magnet to attach keys or things made of iron. Easy to put into your bag, glove compartment, suitcase, backpack or pocket, super practical and useful.